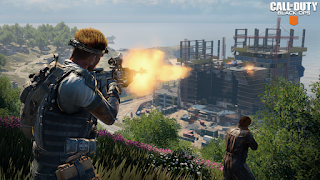 The beta for Blackout, Call of Duty: Black Ops 4's battle royale mode has gotten a few updates based on feedback. Treyarch posted about the updates on Reddit and the biggest changing is raising the player cap up to 88 for the beta. These updates are being made and are only possible because of the feedback that you’ve given us. Please keep it coming, as we plan to make daily updates to the game throughout the Beta. The Call of Duty Blackout beta runs until September 17. The beta is only running for PlayStation 4 right now, but Xbox One and PC users who preordered or were a part of previous Black Ops 4 betas join in on September 14. The open beta for all platforms will start on September 15.